Tsukuba is an upperclassman at Kenichi's school and a black belt in the Karate club. His style of martial arts is sports karate, which combines boxing and karate techniques. He is quite a strong fighter, as "he can take on two people from the Karate club at once, can break rocks with his bare hands, and break bats with a single kick," said by Kenichi during his mental meltdown. He was the referee for Kenichi's fight against Daimonji and quickly wanted to test Kenichi's skills after his win. Though he easily defeats Kenichi, he is not satisfied with his victory after he finds bruises on his ankle, where Kenichi grabbed him. 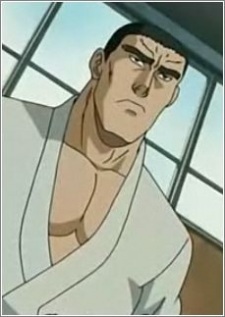 When he later fights Kenichi the second time, he is quickly defeated by Kenichi's Yamatzuki and overhead throw. He reports his loss to Ragnarok's Kisara and is told to leave town, sending Kenichi shooting into the martial arts world.